Preview: Bossy R Dinosaur Sort is perfect for practicing R controlled vowels with a fun dinosaur theme. This freebie is the perfect activity for first or second grade. Dinosaurs are on the loose. Well, just on our blog this week. We shared some of our favorite dinosaur books earlier this week and now we are sharing a dinosaur freebie. This freebie is a bossy r sort. Make practicing those r controlled words a little more fun with this dino themed freebie. Bossy R words can be tricky because they often make a very similar sound and it is hard to identify what vowel is in the word. I remember my second graders still needed practice with this skill. I made this sorting activity that would be perfect during word work or literacy centers. Cut apart the dinosaur cards and set them out. Then cut out the dinosaur eggs. I've included a "key" that has the word for each picture in case you or your students get stuck on what r-controlled word is represented in the picture. Sort the eggs to the right dinosaur. Students could put the eggs next to, below or even on top of the dinosaur cards. There are 24 egg cards to sort, but each dinosaur card has a different amount of eggs that match it. I've included a full color set in this freebie, but I know colored printing isn't always an option so I've added a black and white set too that could easily be printed on colored paper to add that pop of color. Do you want to try this sort out for free....scroll down to the very bottom of this post to get your free copy. Are you looking for some other dinosaur ideas and freebies? 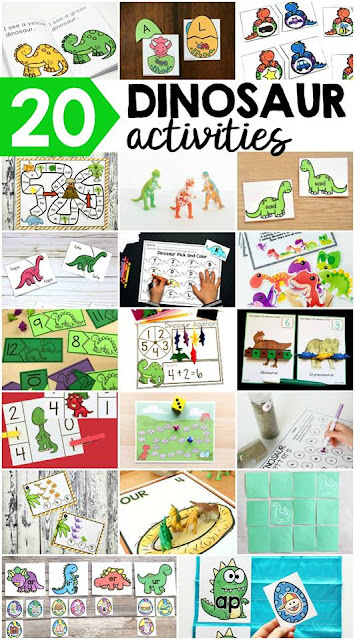 Check out these other awesome bloggers that I've collaborated with to compile some of our favorite dinosaur activities. 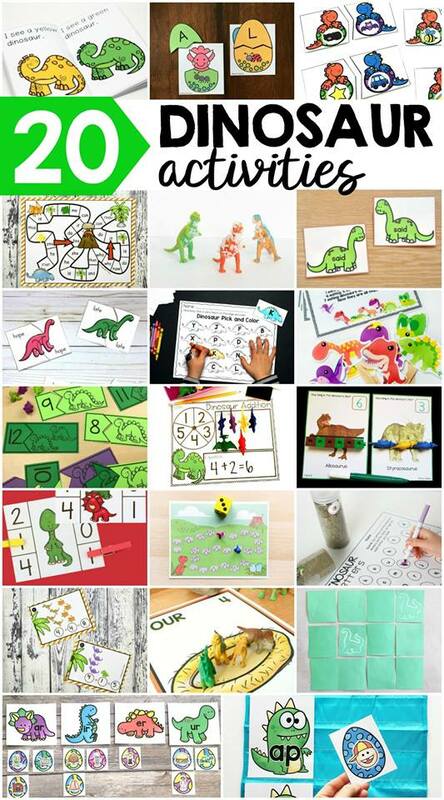 Interested in grabbing this FREE Bossy R Dinosaur Sort? Just click the "click to download" button below, enter your information and they will be emailed directly to you - both the color and the black and white version.